First Listen: Bon Iver, 'Bon Iver' A grand, chance-taking record, Bon Iver sheds the raw nerviness of 2008's For Emma, Forever Ago and replaces it with bold, swooning arrangements. Out June 21, the result dares to be dreamy. 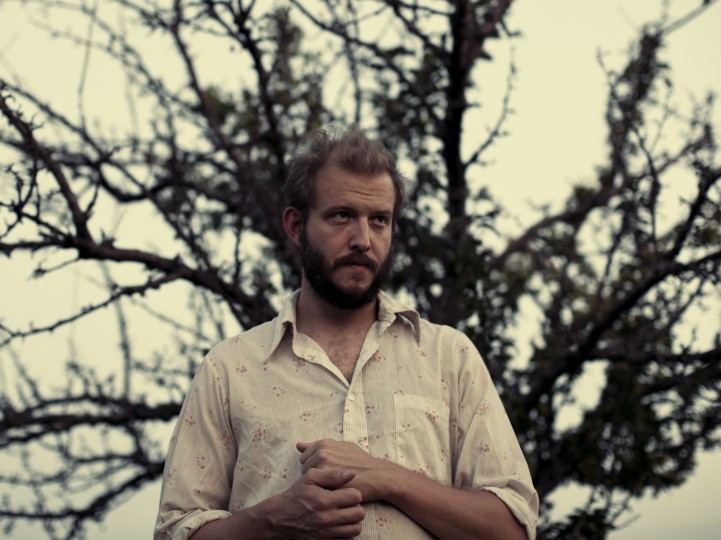 Bon Iver comes out June 21. "Beth/Rest," the closing song on Bon Iver, is an absolutely diabolical bit of provocation. A plodding tangle of electric keyboards and guitar solos, the track seems at first as if its title ought to include the parenthetical, "Love Theme From Tequila Sunrise 2." Bon Iver singer-songwriter Justin Vernon has compared "Beth/Rest" to the best-known work of Bruce Hornsby, and his appreciation is utterly sincere: The very opposite of an ironist, he boldly opts to close his massively anticipated new album with sounds 25 years out of style. Jarring as it is, "Beth/Rest" is like the plucky runt of this litter; the song you may well find yourself embracing with the expectation that it'll be unloved by everyone else. Whatever it is, it's not safe. Vernon understands that the most fearless musical expression is raw, naked emotionalism — that a wink is a pose, a pose is a mask, and a mask is a forgery, so why bother with any of that? When he belted out Bonnie Raitt's "I Can't Make You Love Me" on Late Night With Jimmy Fallon a few weeks back, the last thing Vernon was doing was kidding. For five minutes, warmth had become the new cool. Bon Iver is a grand, chance-taking record: It sheds the raw nerviness of 2008's perfect For Emma, Forever Ago and replaces it with arrangements so lush and vivid, it can be hard to make out much of what Vernon sings. Out June 21, the whole record dares to be dreamy, and to let Bon Iver's ever-growing backing band paint pictures while Vernon's words dissipate into the ether. Most of these 10 songs induce gasps at one point or another, for any number of reasons: from the forceful jolt of an orchestral boomlet, the delicate shhhhhinnnnng of finger cymbals, or an impeccable bit of vocal phrasing by Vernon, who can still make seemingly slight inflections hit like punches. Still, an overarching purpose here — the specific messages to these songs — can be oblique and hard to locate. Even the titles mostly signify and evoke places rather than feelings: "Calgary." "Minnesota, WI. " "Hinnom, TX." "Lisbon, OH." Listen to Bon Iver 50 times, and you may still struggle to remember which title matches which song, and why. But the journey to familiarity with the record is circuitous to the point of impossibility. For all its emphasis on place, it beckons you to come get lost.